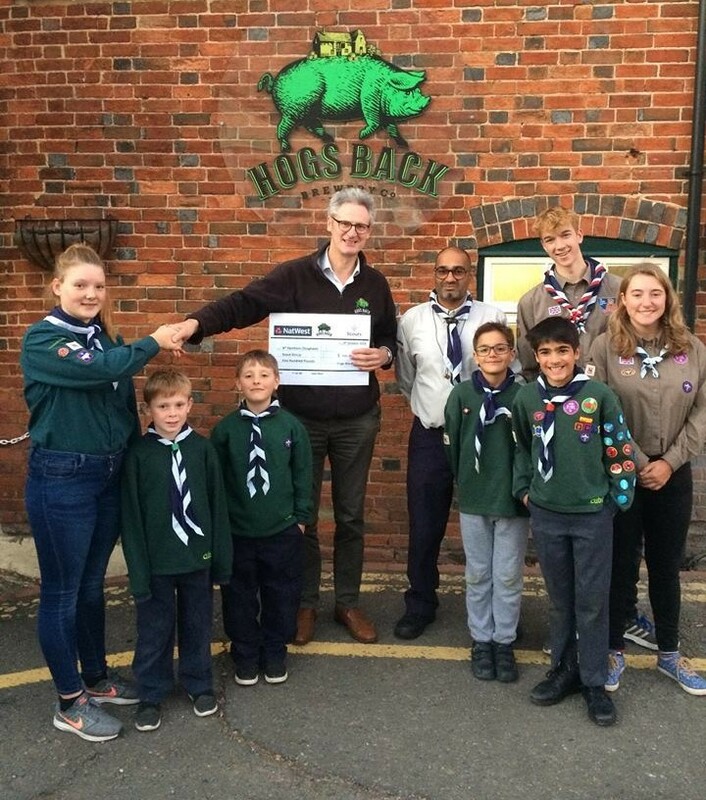 Tongham Scouts are pleased to have received a very generous cheque of £500 from the Hogs Back Brewery managing director Rupert Thompson towards our New HQ Building Project Appeal. 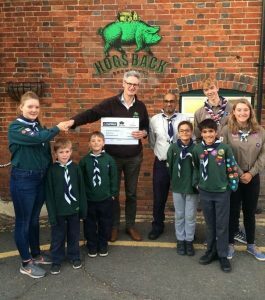 The Scout Group assisted during the Brewery’s 4th Annual Hop Festival by directing the car parking and looking after the Kids Zone. Despite the rain, over 1000 guests enjoying live music, the Kids Zone, street food, and of course plenty of Hogs Back beers and cider. Hope you can join the Party next year – September 14th 2019!